CODART ZEVENTIEN will be taking place in the heart of Holland’s Golden Age, Amsterdam. In the course of the 17th century, the city grew from a modest-sized port to become the centre of world commerce. The canal ring was laid out, the monumental town hall (now the Royal Palace at Dam Square) was built, and people converged on the city from all corners of the earth in search of the economic prosperity and the relative freedom that prevailed here. Although Amsterdam lost its leading position in the 18th century, the city continued to reinvent itself around these parameters of creativity, entrepreneurship and individual liberty. In consequence, Amsterdam is not just the city of Rembrandt, the East and West India Companies and religious freedom, but it is also the city of the Amsterdam School and Cobra, Heineken, Ajax, liberal policies on drugs and prostitution, hippies and Provos. The mildly provocative nature of many Amsterdammers, combined with their view that the Netherlands consists of ‘Amsterdam and the surrounding area’, is not always appreciated by the people in the rest of the country. Amsterdammers are regarded as blunt, arrogant, and rude. Tourists walking around the city and finding themselves cursed and warned by loud bells to keep off the cycle paths may well agree, as will people who set great store by courteous and friendly service in cafés, restaurants and shops. Although such assumptions about the city and the people who live there may be clichés, both the positive and negative aspects of Amsterdam help to make it a vibrant city, a place where there is always something happening. This applies not least in the museum world. In preparing this congress, it was a real challenge to do justice to the enormous diversity of museums containing art by the Old Masters – not to mention the Van Gogh Museum and the Stedelijk Museum, which also reopened recently. You may find it worth your while to stay on for a few days after the congress ends! The Rijksmuseum started life in 1800 as the ‘National Art Gallery’ in Huis ten Bosch Palace in The Hague. In 1808 it moved to the Royal Palace at Dam Square in Amsterdam, where the paintings from The Hague were combined with works from the collection of the city of Amsterdam, including the Night Watch. In 1817 the museum moved to the building known as the Trippenhuis on Kloveniersburgwal. Since 1885 the Rijksmuseum has occupied the famous building designed by P.J.H. Cuypers overlooking Museumplein. Originally, the building effectively consisted of two parts linked on the second floor by the Gallery of Honour, a situation that has been restored by the renovation. 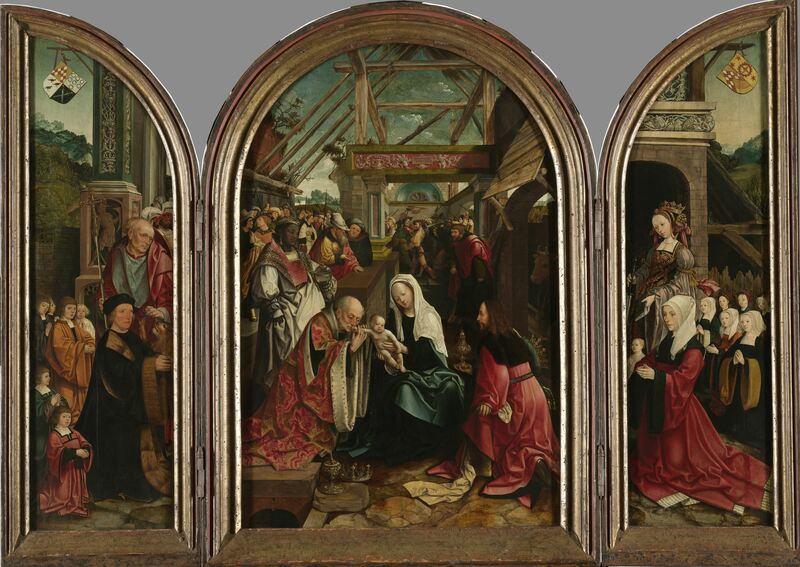 The museum provides an overview of Dutch art from the Middle Ages to the present day. International art is also displayed, but is subordinate to the Dutch objects. On the ground floor, the west wing is reserved for art from the Middle Ages and the Renaissance (Jacob Cornelisz, Scorel, Beuckelaer, Geertgen tot Sint Jans, as well as some paintings by Italian artists), while the east wing exhibits ‘Special collections’, a treasury of model ships, weapons and decorative arts. The first floor displays art from the 18th and 19th centuries, from Cornelis Troost to Breitner, the Hague School and Van Gogh; work by Goya and Falconet can also be seen here. The 20th century can be found on the top, attic floor (reached through the hall on the second floor). The entire second floor is devoted to the 17th century. Historical items are interspersed among the works of art, and all the great names of Holland’s Golden Age are found here. The central axis of this floor, the Gallery of Honour, leads to the Night Watch room. The almost ritualistic walk through the Gallery of Honour in the direction of the ‘high altar’, the Night Watch, recalls that Cuypers, who designed the building, was above all an architect of churches. It also contributes to the classical, traditional ambience of the Rijksmuseum, whose entire display (aside from the 20th century) contains not a single monitor or screen. Whether this is old-fashioned or a breath of fresh air will be one of the subjects we shall be debating here at the congress. In the heart of the Amsterdam canal district lies Museum Van Loon, a magnificent private residence built in 1672 by the architect Adriaen Dortsman. This is the location of the opening reception of CODART ZEVENTIEN on Sunday 16 March. The first resident was painter Ferdinand Bol, a pupil of Rembrandt. The interior of the house has remained largely intact during the last centuries and still evokes the splendor of the Golden Age. The Maritime Museum has also undergone major renovation in recent years (2007−2011). The CODART member who has just spent two days debating permanent displays in the Rijksmuseum will be struck by the contrast between the Rijksmuseum and the Maritime Museum. The latter opted for a radically different formula. This museum is full of computer screens, interactive displays, and modern forms of presentation. The Maritime Museum was founded in 1916 and was originally located in De Lairessestraat, in the building in which Christie’s holds its auctions today (directly opposite the congress hotel − Memphis Hotel), still identifiable by the wave motifs in the frieze. Since 1973 it has occupied the premises of the former Arsenal of the Admiralty, built in 1655-1656 by Daniel Stalpaert. The museum displays the maritime history of the Netherlands through a unique collection of paintings, ship models, globes, and a wealth of other items. The Stedelijk Museum Alkmaar displays the history and cultural heritage of Alkmaar. Artists represented in the collection include Jacob Cornelisz van Oostsanen, Cornelis Buys, Maarten van Heemskerck, Willem van de Velde the Younger, Gerard van Honthorst, Pieter Jansz Saenredam and Jan de Baen. Devotees of the work of the Alkmaar artist Caesar van Everdingen should not fail to visit this museum, which has nine of his paintings, including two militia pieces. The highlight of this excursion will be the exhibition on Van Oostsanen that the museum is organising in partnership with the Amsterdam Museum: Van Oostsanen: The First Dutch Master. The painter Jacob Cornelisz van Oostsanen (1470-1533) is the first Amsterdam artist whom we know by name. From 1639 to 1658, Rembrandt lived in the house on Sint Antoniesbreestraat (nowadays Jodenbreestraat). This building is now the premises of the museum, which was founded here in 1911. In the late 1990s, the interior of Rembrandt’s house was reconstructed with the aid of the inventory that was drawn up when Rembrandt went bankrupt [link]. In 1998 a new building was completed next to the historic Rembrandt House, and named the ‘Saskia House’. Temporary exhibitions are held there. The emphasis during this excursion will be on the exhibition that the museum is organising together with Peter Schatborn (emeritus curator of drawings at the National Print Room) on the attribution of drawings. The city of Amsterdam has possessed its own art collection since the 16th century. Over the centuries it expanded to become one of the largest and most important municipal collections in the world. Some of its art-historical highlights, including the Night Watch, have been displayed in the Rijksmuseum since 1885. Since 1926, the Amsterdam Museum (formerly Amsterdam Historical Museum) has housed a range of art and historical objects that tell the story of Amsterdam. Lastman, Moeyaert, De Keyser, Backer, Rembrandt, Sandrart, Flinck, Bol, Lievens, Ovens, Troost, Quinkhard, Regters, De Lelie: every painter who was important in Amsterdam in his day is represented in the museum. The collection of group portraits is unique in the world. For tourists, the permanent exhibition Amsterdam DNA has been made, which gives the history of Amsterdam in a nutshell. During the congress, part of the exhibition on Jacob Cornelisz van Oostsanen will be displayed at the museum. If you have some time left to spend in Amsterdam, make sure to visit the museum and this exhibition. The other part is on view in Alkmaar (see above).